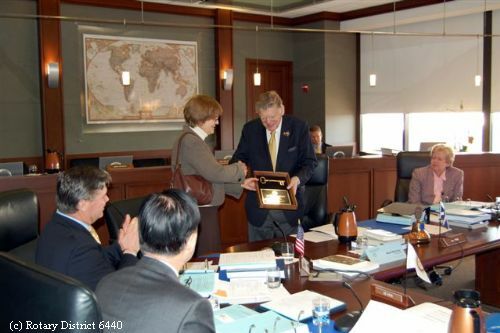 "It is indeed an honor to have the international headquarters of the Rotary located right here in Evanston," said Mayor Tisdahl. "They are an important part of our community and I applaud them for their commitment to the city, not just for having moved here but also for voluntarily paying taxes as a non-profit organization. I wish them nothing but success with all their incredible work they do around the world."